Wishing this couple lots of happiness. Molly carried gorgeous orchids in a cascading bridal bouquet. 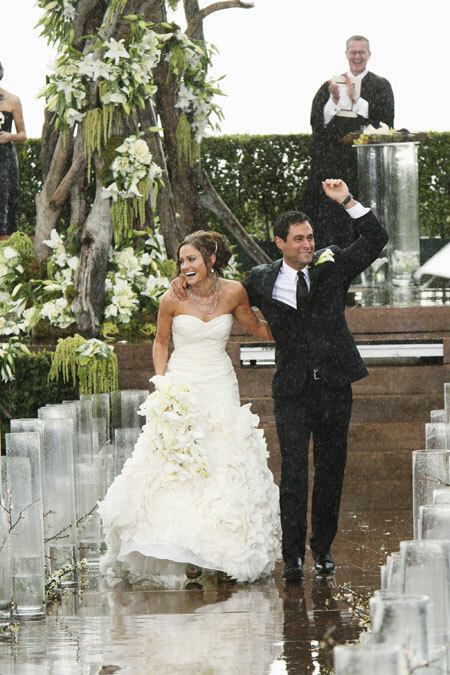 Monique Lhuillier designed Malaney’s beautiful $45,000 strapless white high tailed mermaid ruffle gown. Check out her necklace on ebay! The wedding took place at the Terranea Resort on the coast of Rancho Palos Verdes, Calif. Another elegant celebrity wedding!